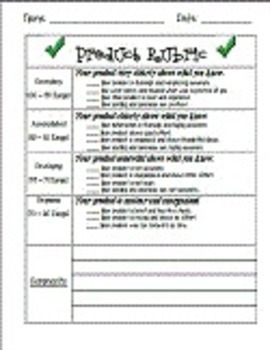 Need a quick rubric for differentiated products? This is the one! The rubric has four levels of demonstrated competency - exemplary, accomplished, developing, and beginning. At the bottom, there is a section for written comments.